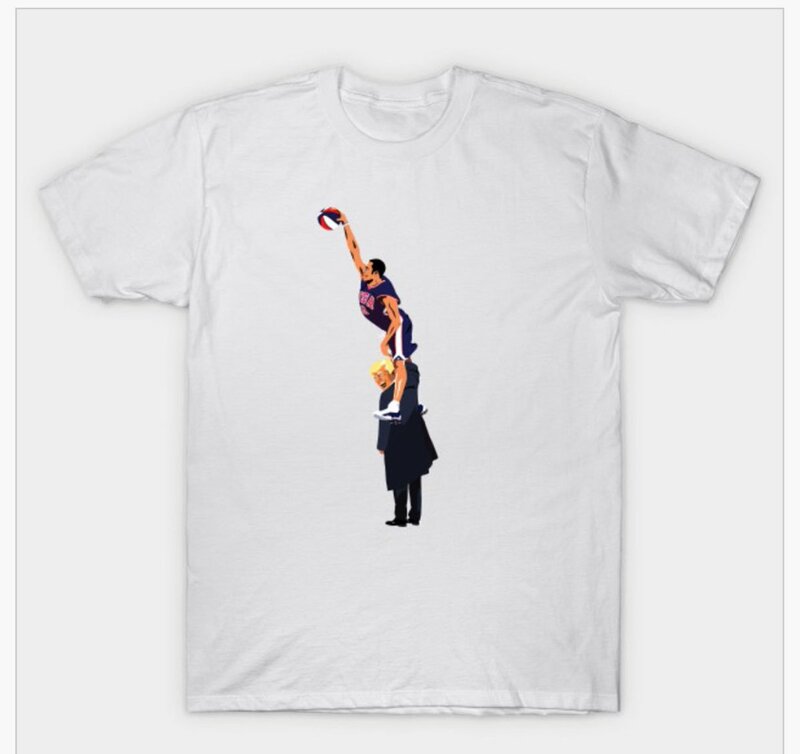 Dan Carson has made a T-shirt with the newest King appearing to dunk over President Donald Trump. He’s offering the shirt for $20, with proceeds going to the American Civil Liberties Union. He also has other merchandise with the logo, including a cell phone case, mug and onesie. The 40-year-old Carter, who recently signed a one-year deal with the Kings and is the oldest player in the NBA, took to Twitter to praise the shirt.